Home » Magazine » » In Old Delhi, Rabea brings down some walls. Vidya Shah	April 08, 2002 00:00 IST In Old Delhi, Rabea brings down some walls. The labyrinthine lanes of Ballimaran in Chandni Chowk transport you to a B&W film of the ’50s. Something about the place in the Walled City makes you wonder whether anything here has changed. But, of course, it has. The crowds, the billboards, the food joints, a lot has changed. But the old world charm is inescapable. The rickshaw-wallah asks you if you are visiting ‘Ghalib ki haveli’ when you mention Qasim Jan Gali. There, in an inconspicuous corner is Rabea Girls Public School, which has over the years become a symbol of progress and change in the area. 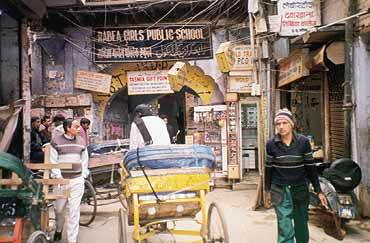 Set up in 1973 by Janab Hakeem Abdul Hameed in the heart of erstwhile Shahjahanabad, Old Delhi, the school’s main objective is to educate Muslim girls, assimilating them into mainstream society while also conforming to the religious and cultural milieu from where they come. All children learn Urdu till Class X here. Islamiyat is part of the system. Paramjeet Singh, the officiating head who has been on the faculty for 25 years now, says contrary to popular opinion there was little resistance to the idea. "There was no resistance really. It’s true that it took a few years before parents got around to sending their girls here, but the problems were not insurmountable," she says. The school focuses on how to empower girls to cope with life outside the Walled City, a life many wouldn’t have been exposed to otherwise. "Today, we feel more confident that if the school organises an outing, then almost all the girls will get permission from their parents. 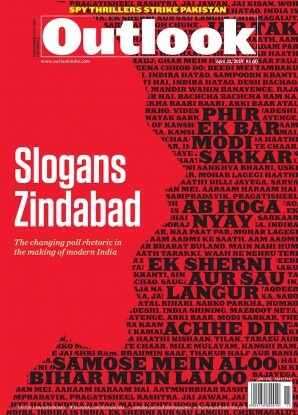 It wasn’t like this before," says Faiza, a Class XI student of the school who loves McDonald’s, Sonu Nigam, K3G and the poetry of Ghalib and Iqbal. She adds that the school’s been the best thing that could have happened to Chandni Chowk. "If Rabea hadn’t happened, I don’t think I would have been able to get this kind of education. Our teachers aren’t just about finishing the syllabus. They are our friends, our counsellors, people we can run up to for help anytime." "Girls are under a lot of pressure here to stay at home and are married off at a relatively young age," says Paramjeet. The situations are often frustrating for both teachers and students. Urooja Rashid, another Class XI student who wants to pursue genetic engineering, says the area is still very orthodox. Some parents, she say, still send their girls to school in burqa. "I know that even today many of my classmates have never been out of the area. But even so, the education they have received here is probably what gives them the strength to adjust to their realities. There are many children here who can’t even pay the fees, in which case it is simply waived." Her mother, Mrs Rashid, says that she and her husband were clear that their kids should be given the right to make a choice about their future. Paramjeet says their biggest challenge is controlling drop-out rates. There are more than 150 students in every class till middle school which drops to around 45 by the final year. But she is still optimistic. Today, children are wait-listed for admission. Mothers who have studied in the school bring their daughters along for admission. The school boasts of state-of-the-art lab facilities, computer rooms and libraries now. It’s apparent that but for the space constraint the school is well-backed in terms of resources by the Hamdard Education Society. "We could have got a much bigger space somewhere else, but that would have defeated our primary goal of being here and giving the girls the opportunities they cherish and learn from," she says. Urooja couldn’t agree more. Rabea, she says, is not merely a school, it’s an institution. "We have been involved in all kinds of activities—quizzing, debating, singing, dancing at the inter-school level. We get to meet other students. We go out on trips outside Delhi. These would be unimaginable without the school." The school which started out with two classrooms, three teachers and 13 students, today has more than 1,500 girls enrolled. Many of them have passed out and now have successful careers or become more confident homemakers. Rabea deals with every stereotype in the book, and then some. As Rahim puts it in a doha: "Rahiman dekhi baden ko, laghu na dijiye daari (Do not lose sight of the small, while seeing the big.)". For further information, contact: Rabea Girls Public School, Qasim Jan Street, Ballimaran, Chandni Chowk, New Delhi 110006.